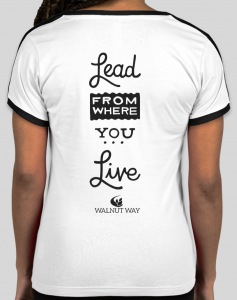 Sport some community pride with the Lindsay Heights Lead From Where You Live t-shirt. *Please note: no shipping. T-shirt will be available for pick up only at Harvest Day, our annual street festival, Saturday, September 8 from 12pm-5pm at the Walnut Way Vendor Table, located in front of Walnut Way. 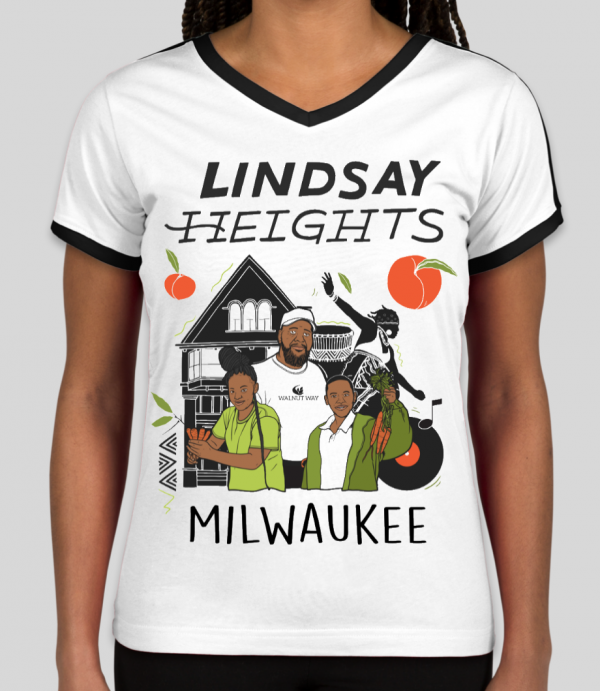 Sport some community pride with the Lindsay Heights Lead From Where You Live t-shirt. 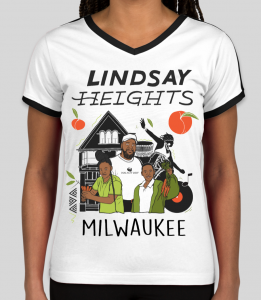 The shirt is double sided with original artwork by local artist, Ivan Merlin, featuring illustrations of residents of Lindsay Heights.